Constructing a beautiful garden is a complicated affair. It’s important to build on the right foundations and to have given much thought to the layout of your plot. 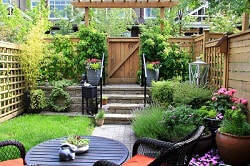 Check out our tips on this page for help with designing your garden. Horsham Decks and Patios are expert garden constructors, working for clients in Horsham, West Sussex and surrounding areas. Our specialist builders will turn your dreams into a well-constructed and landscaped reality, featuring anything your imagination desires. 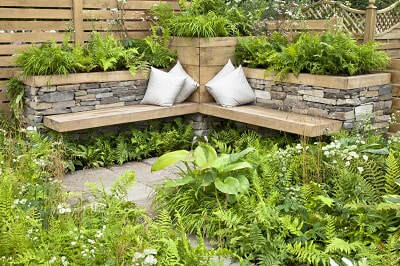 We happily incorporate all types of walling, raised flower and vegetable beds, pathways, decorative fencing and bespoke garden features of all types. We know how to construct a rock garden so you get the best results, whether you’re using huge boulders for a central feature or smaller rocks for a more intimate effect. We understand how to build a garden wall that not only looks great but will stand the test of time and provide a practical and long-lasting boundary or internal divider. We construct garden paths of all types to enhance your plot and to bring the design together, whilst most importantly providing a walkway that will keep your feet dry and mud off the carpet. We expect you to be delighted with the care we take to ensure you’ll be delighted with the results we achieve.